By now everyone’s recovered from the craziness that was Year’s Eve, partying all night and such… right? I sure hope so at least, because it’s time to get back to work, into the groove, and so on, with the first beta of Unity’s 2019 branch and you better believe it’s a big one. Garbage. No one likes it and that goes doubly for game developers… and Unity. So in the 2019.1 beta, this lovely little thing called “Incremental Garbage Collection” is implemented (albeit in an early stage), potentially eliminating a garbage collection spike problem. Mostly on bigger projects I’m sure, but hey, at nice change nonetheless. How about some “clickable stack trace links that will take you to the source code line for any function calls listed in the stack” in the editor console, while we’re at it? Needless to say, I’m not overly great at ‘translating’ all that technical stuff, but that’s not going to stop me from writing about (most) new Unity releases, because… Unity is pretty darn awesome. And speaking of which – a lot more new stuff resides in this very recently released first beta of Unity’s 2019 branch. Head over here to read all about it, and here to get the beta. 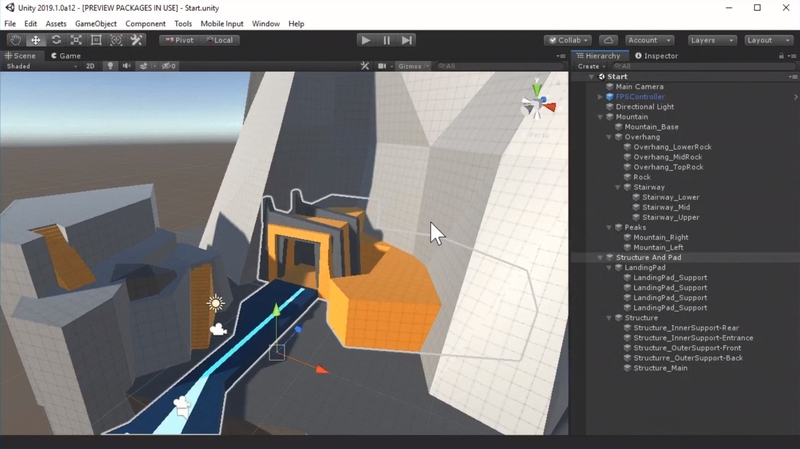 Unity 2019 hype!